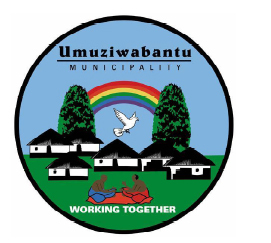 The Umuziwabantu Municipality is located on the western boundary of the Ugu District area and shares its borders to the north, west and south with the Eastern Cape and to the east with the Umzumbe and Ezinqoleni municipalities. The extent of the Umuziwabantu municipal area is 10 862 ha (1088 km²). 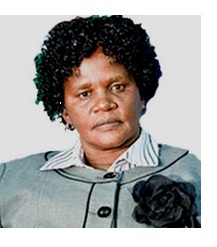 Umuziwabantu Municipality consists of a largely a rural area. Features include; an urban development - the town of Harding, farmland, commercially-grown forests and Traditional Authority areas. Apart from the town of Harding, which is the seat of the municipality, 56% of the municipal area is occupied by individually-owned commercial farms and the Weza afforestation region. The six Tribal Authority areas (KwaMachi, KwaJala, KwaMbotho, KwaFodo, Dumisa and Bashweni) make up 42% of the Municipality's land. The municipality lies at the foot of the Ingeli mountain range and the Umtamvuna River marks the southern boundary. Harding is a modern town with schools (including a special school for handicapped children), two libraries and a hospital. Harding, the service centre of the municipality, was named after Sir Walter Harding, the Chief Justice of the Natal Supreme Court, when it was established in the 1870s. The study by Department of Economic Development and Tourism (DEDT) project Southern KZN - Eastern Cape Crossborder Cluster Initiative identified Harding as being an important link between the Eastern Cape and KwaZulu-Natal for travellers. Although detailed statistics of the current situation are not available at present, the municipality is aware of severe service backlogs, especially in the rural areas. Many of uMuziwabantu's inhabitants depend on natural water sources and dams, with a consequent risk of various diseases related to seepage, pollution and water-borne diseases. As far as power supplies are concerned, most of the households supplied with electricity are located in Harding. This means that the remainder of the municipality's population depend on gas, paraffin and candles for heat and light. The main source of income for the area is derived from the municipality's extensive wattle, gum, pine and poplar plantations, and associated industries, including saw mills and furniture-making factories. Umuziwabantu Municipality offers a wide range of natural habitats, veld types and bio-resource groups which are of interest to eco-tourists. The blue swallow, an extremely rare bird, breeds near the Ingeli. Places of interest to tourists are two game reserves (KwaFodo and KwaMachi), and the Ingeli Forest. The linking of tourism initiatives to rail linkages to and from Harding. The regeneration of Weza hiking and forest equestrian trails. The development of tourist facilities at Harding and Sikhulu Dams. The linking of KwaMachi and KwaFodo Nature Reserves. The development of a 4X4 trail at KwaMbotho. The development of local craft and cultural village. The establishment of the Ngeli Nature Reserve on Weza Forest land. We shall strive to promote a secure and crime free environment conducive to investment but which also addresses basic development needs of all local people who were neglected in the past. We will encourage education of our communities to meet the modern challenges in the job market. We will capitalise on and maintain our natural environment to foster tourism and investment in our area. Umuziwabantu means 'home of the people' - all are welcome.